John Agnew is an artist of the natural world. His career began in natural history museums, where he has designed exhibits, produced illustrations and painted murals and dioramas for museums and zoos around the country and as far away as Moscow. Since the early 80’s, John has produced nearly thirty thousand square feet of murals and dioramas in the Cincinnati area for museums, zoos, and parks. John Agnew is a Signature member and on the Board of Directors of the Society of Animal Artists, an international society of the world's finest wildlife artists. His work has been featured in Art and the Animal, Arts For the Parks, Birds In Art, and many more museum exhibits. In 2007 he was the Grand Prize winner of the national juried show, Paint the Parks and has received the Award of Excellence in the Society of Animal Artists' prestigious Annual Exhibition four times. In 2001, North Light Books published his book, “Painting The Secret World of Nature,” and his work has been featured in numerous other books, magazines and journals. 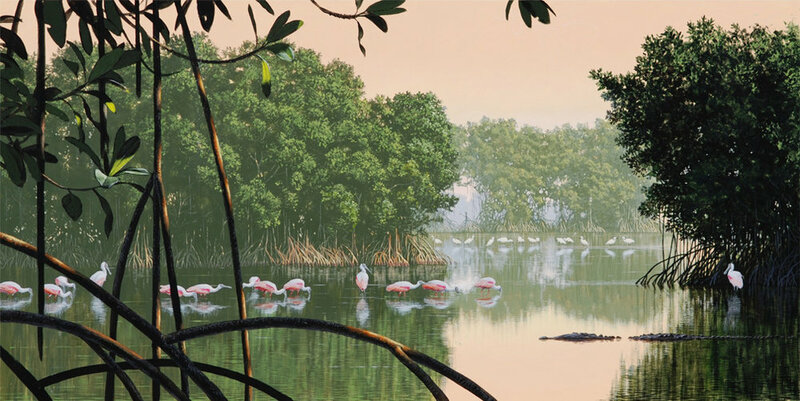 John Agnew has traveled worldwide in search of his subjects, and his natural history paintings are in collections around the world. Designated as a "Master Scratchboard Artist" by the International Society of Scratchboard Artists, his level of detail and precision is rarely matched. 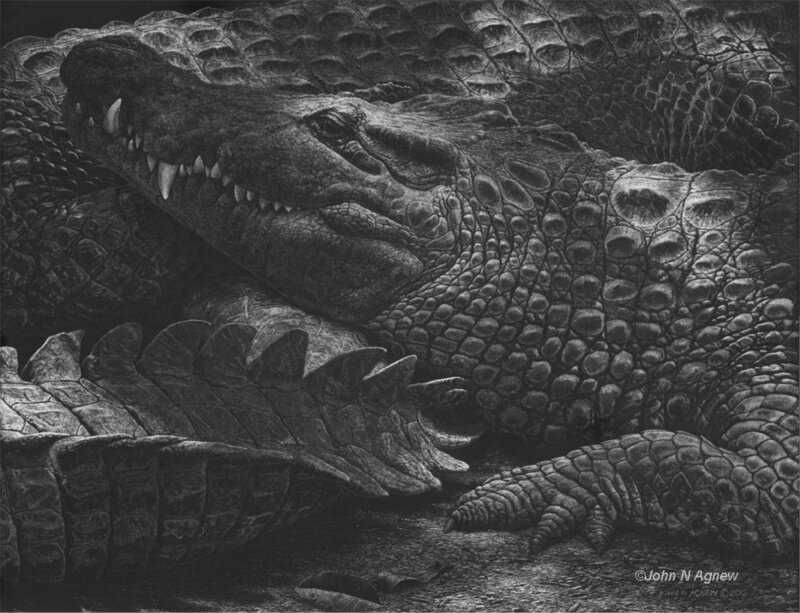 From 2014 through 2016, his Crocodilian Scratchboard exhibition toured to McNeese State University Art Gallery, Lake Charles, Louisiana; Arizona-Sonora Desert Museum, Tucson; Museum of the Gulf Coast, Port Arthur, Texas; Coastal Discovery Museum, Hilton Head Island, South Carolina; and Ft. Hayes State University's Sternberg Museum Natural History Museum, Kansas; and The Center for the Arts of Bonita Springs in Florida. Scratchboards and Other Works by John N. Agnew consists of approximately thirty original artworks including scratchboards, plus preparatory drawings/sketches and paintings, hardcopy title panel, and Interpretive labels, and is available for display on a first-come / first-serve basis for a modest fee. 2017 © David J. Wagner, L.L.C. Examples of possible works in the show.